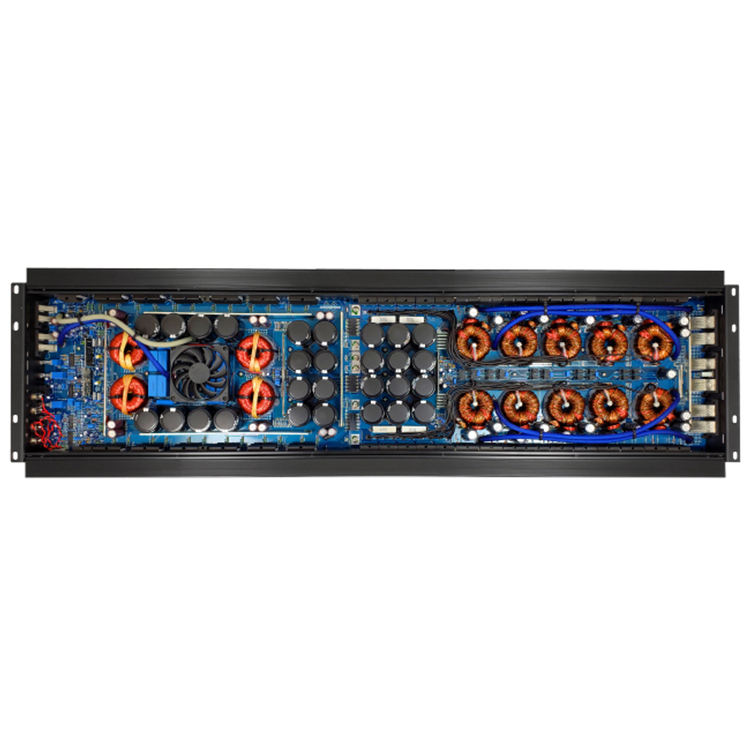 The XS series amplifiers are RAW POWER machines capable of INSANE POWER LEVELS. 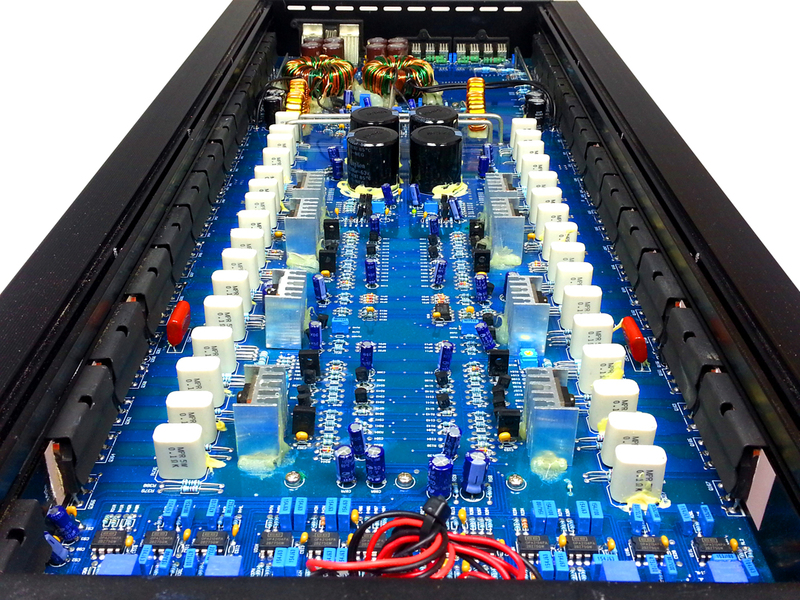 Each amplifiers circuit board is based on years of high power research and development along with years of experience to make sure every XS amplifier will perform beyond expectations. 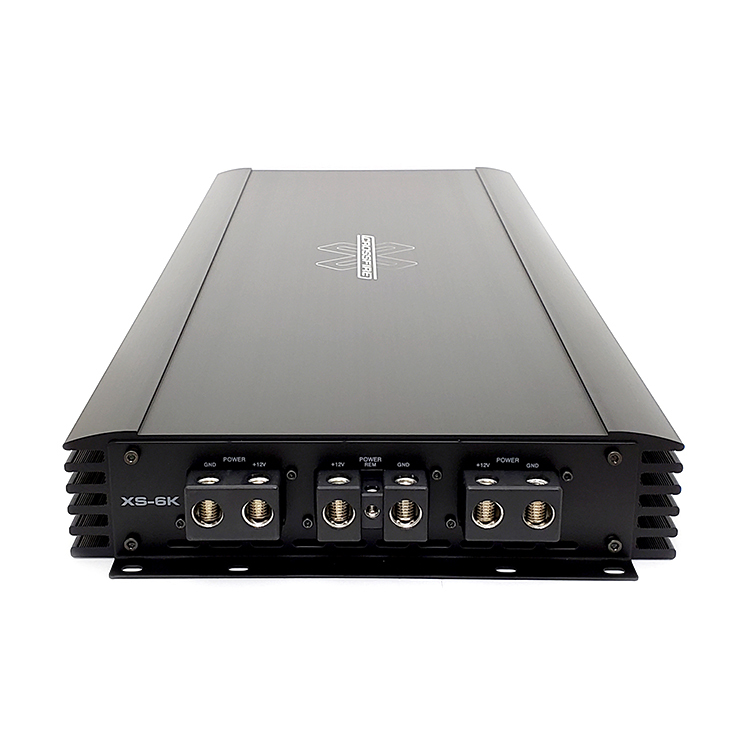 Every XS amplifier was designed for competition SPL vehicles in mind, and also for the ridiculously loud daily driven GROUND POUNDERS. 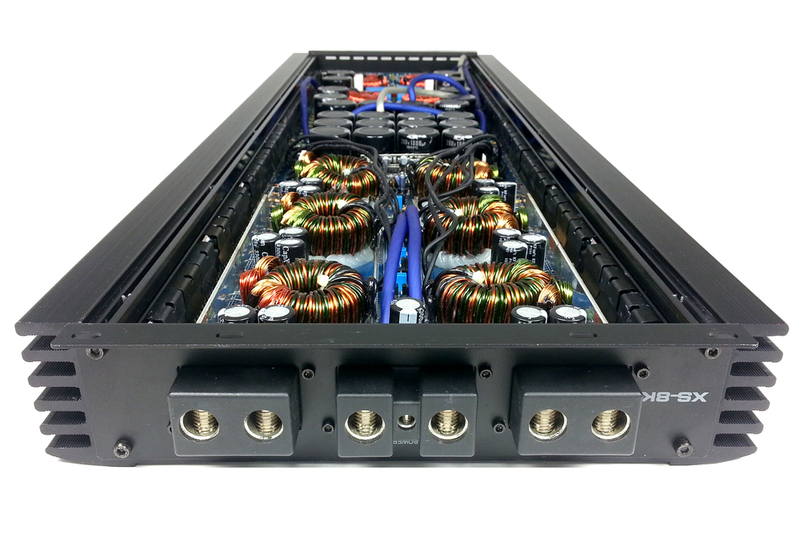 The XS amplifiers were designed and built without compromise to deliver the strongest amplifiers possible. 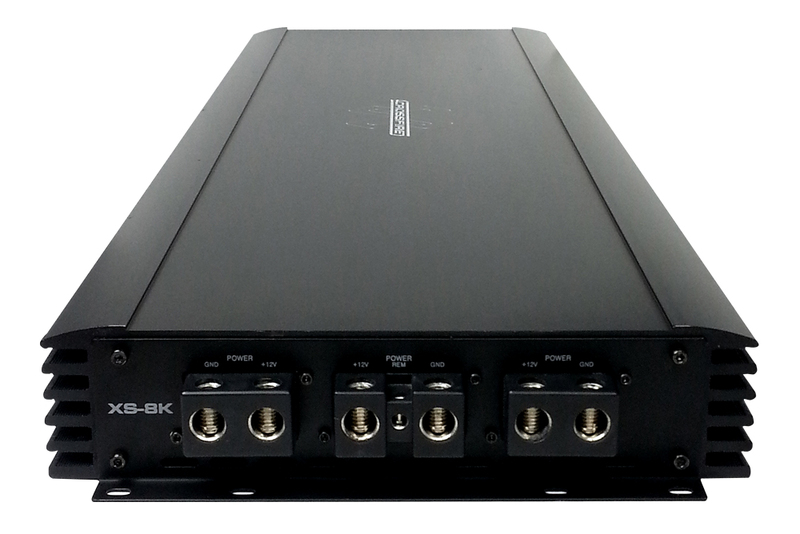 We offer 4 mono block XS Series amplifiers, the XS-6K, 8K, 8X and the 16K. 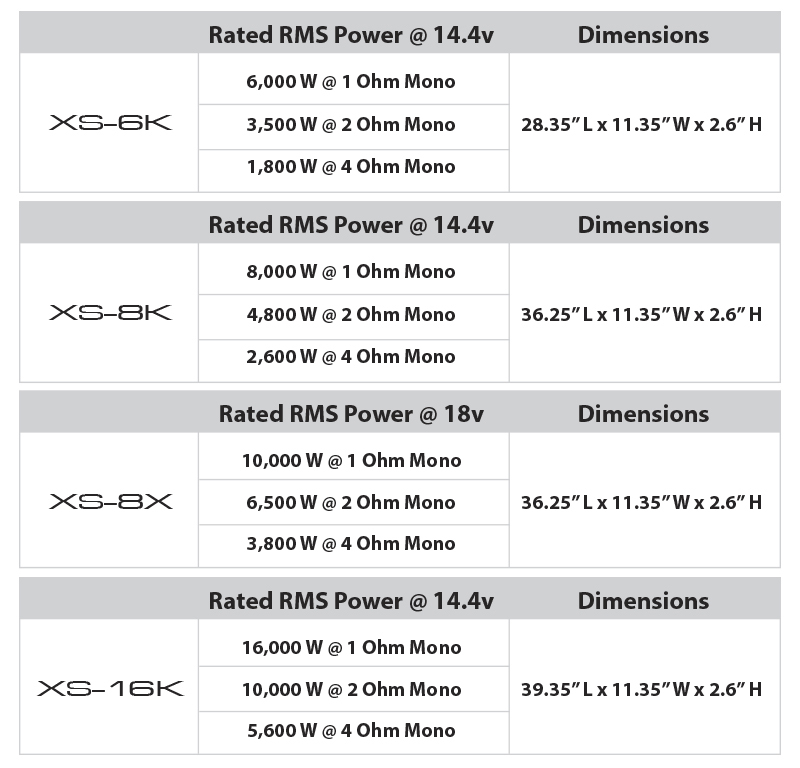 The XS-6K, 8K & 16K power supples were designed for the STREET consumer or competitor when voltages are under 16 VOLTS or less. 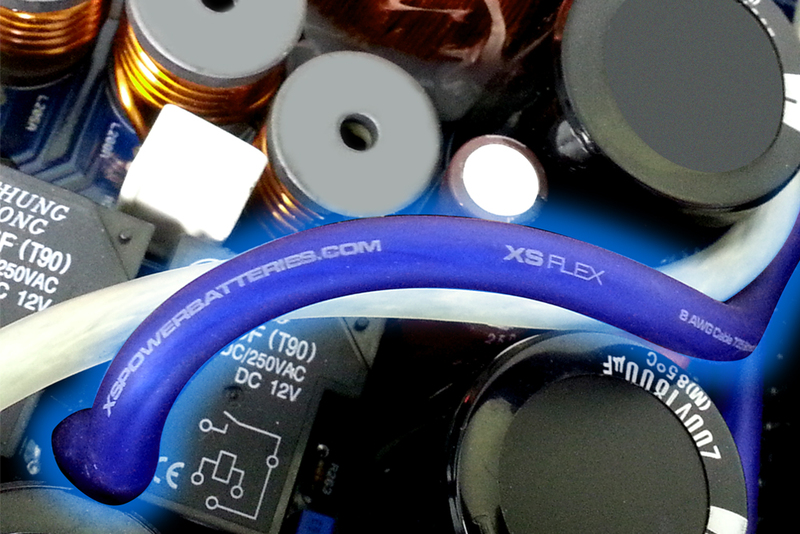 The XS-8X power supply was built for the EXTREME HIGH VOLTAGE consumer or competitor looking for maximum power at 18 VOLTS. 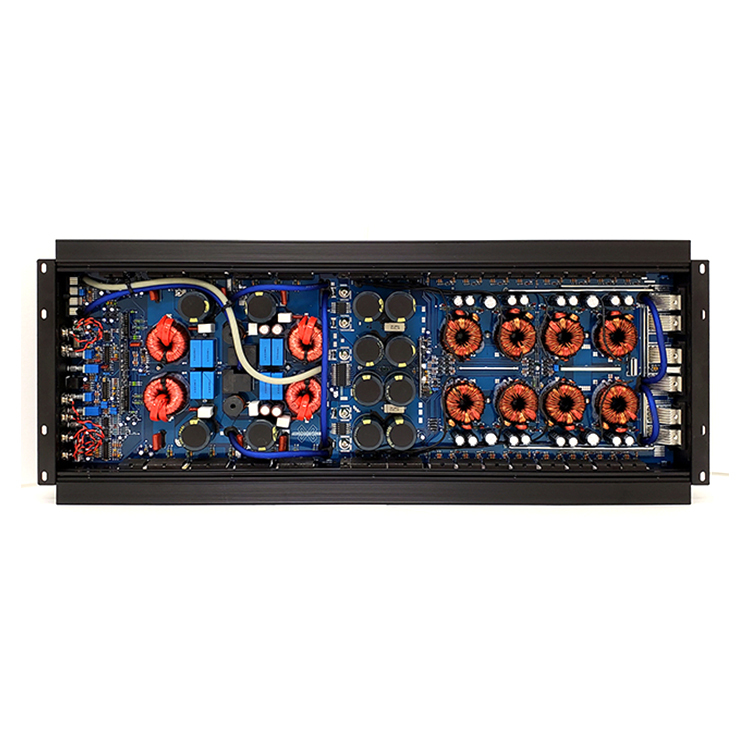 The XS-SQ4 amplifier features the finest in audio components such as BURR BROWN OP-AMPS, MONOLITHIC SIGNAL CAPACITORS, and SANKEN OUTPUT TRANSISTORS. 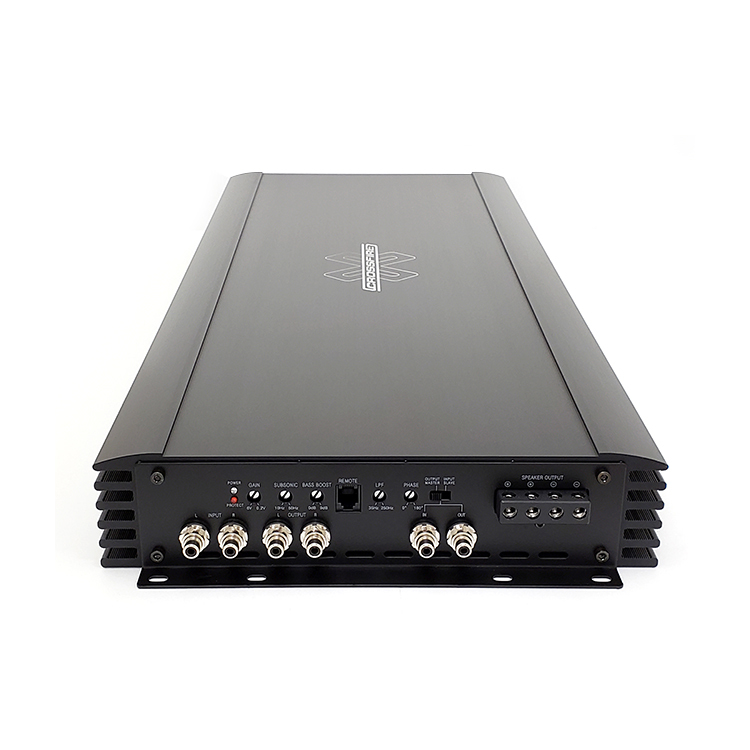 This result is unparalleled sonic performance in a mobile audio amplifier. 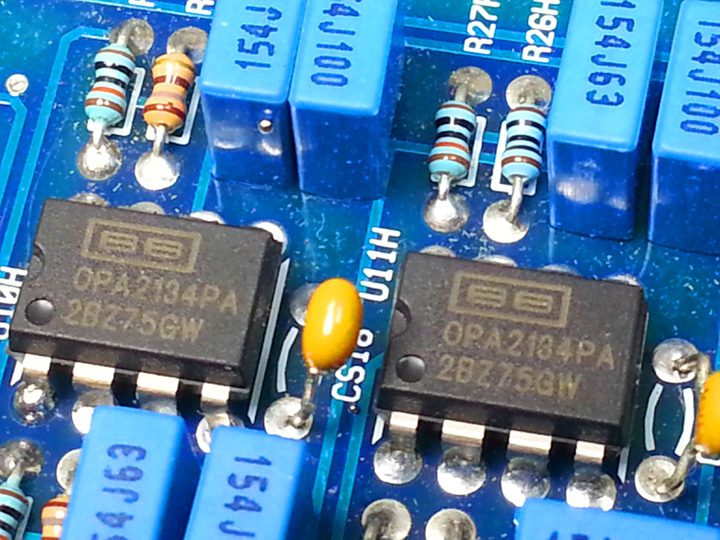 The XS-SQ4 amplifier’s dynamic range conveys a musical realism that transcends standard amplifier designs. 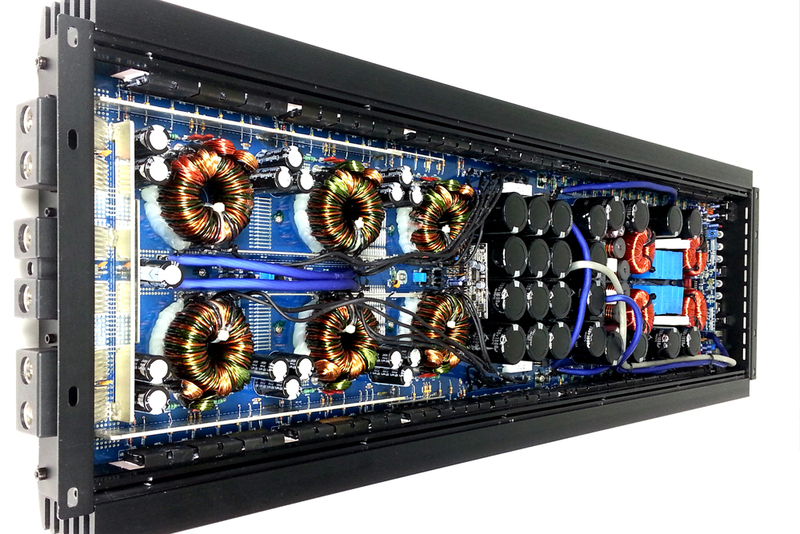 With seemingly UNLIMITED FREQUENCY RESPONSE and smashing dynamic range, the end result is the finest sounding amplifier Crossfire has ever built, period.